Zest ‘N Zing Ticket Winner! The day is finally here! Today is awesome for two reasons.. A. It’s Friday, no other explanation needed. and B. I have the winner of the two free tickets to Zest ‘N Zing: A Foodie Event For the At-Home Chef on May 7 at the Eugene & Marilyn Glick History Center! First of all, I would like to say a big THANK YOU to everyone who entered! It means a lot to me that you guys read my blog and participate in my contest so please continue to check back for more opportunities in the future! Ok, now lets get to the big news! 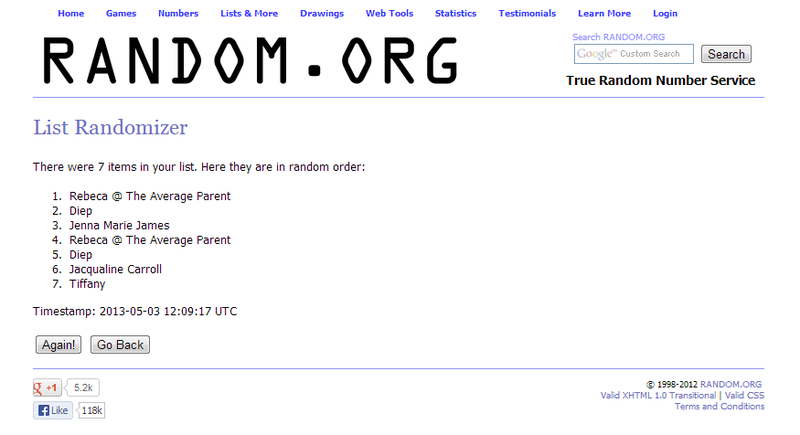 In a drawing via random.org the winner is……. Rebeca @ The Average Parent!!!! Congratulations Rebeca! 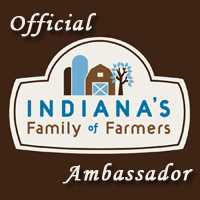 You and a guest will be joining me at Zest ‘N Zing thanks to Indiana Family of Farmers! I will contact you with further details. For the rest of those who entered, and all of you in general, there are still tickets left for the event and the proceeds go benefit Gleaners Food Bank in Indy! Tickets are $20 and include includes two drink tickets, five food tickets, a swag bag and the cooking competition. And let me tell you, it is totally worth it! The food and drinks are amazing, the competition is super fun and the swag bag has some awesome kitchen goodies and recipes! Tickets are ONLY available for purchase online – No tickets will be sold at the door. CLICK HERE to purchase your tickets today! And by attending, you can still have a chance to be the third “Mystery Judge” and get to taste the awesome dishes the teams prepare! CALLING ALL INDY FOODIES! Clear those calendars and get those appetites ready because Zest ‘N Zing is back! Join two Indy chefs and two Indiana farmers who will work in teams to create a great new dish during Zest ‘n Zing: A Foodie Event for the At-Home Chef at the Eugene and Marilyn Glick History Center in downtown Indianapolis on May 7. Brought to you by Indiana Farm Bureau, this is your chance to witness Indy’s version of Iron Chef, spend an evening enjoying Indiana food, wine and beer, and help out Indy’s own Gleaners Food Bank. 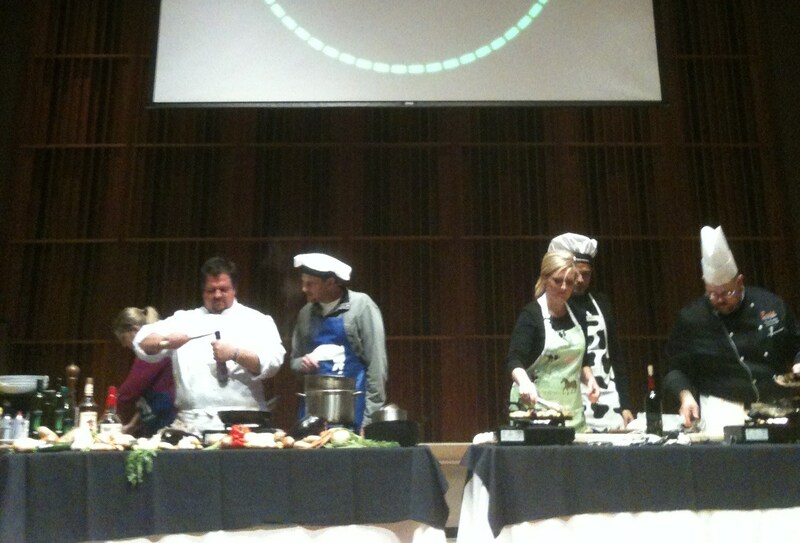 Here’s a sneak peak at the Iron Chef set up from last year! “Team Pork” (WZPL’s Dave Smiley, pork farmer, Heather Hill, and chef Jason Anderson took on “Team Dairy” with Paul Poteet, dairy farmer, Liz Kelsay and chef Chip Huckaby. 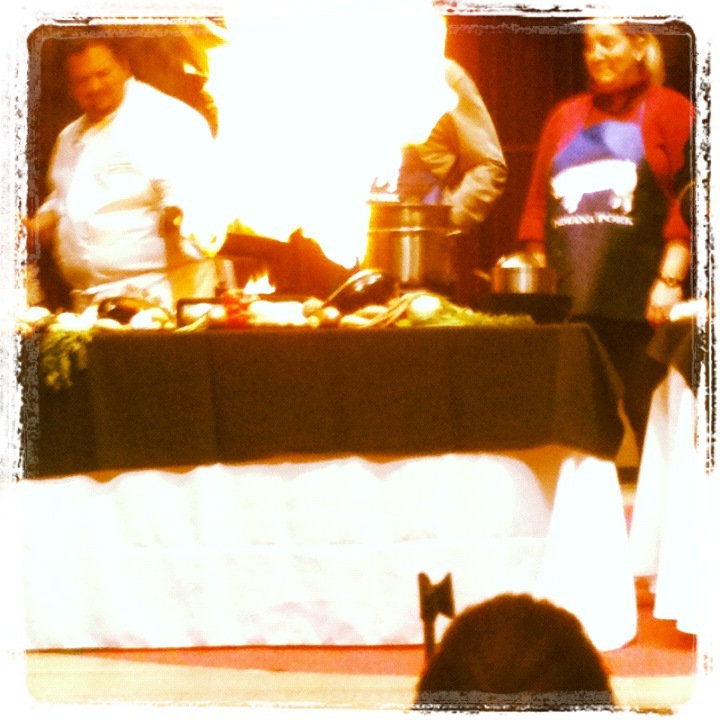 Indy weatherman, Paul Poteet and WTHR’s Jennie Runevitch will be emceeing the event and last year’s champion, chef Jason Anderson is returning to defend his title! Chef Anderson, joined by cattle farmer Ginny Tauer will go head to head with the new challenger, chef Greg Schiesser from Indiana Downs and hog farmer, Nick Sommers. Last year I was the #OfficialTweeter for the event and it was a blast! It is a great opportunity to have fun and learn a little more about farmers and food preparation. The recipes are geared toward something you can make in your own kitchen and last year they sent the recipes out after the event so you could try it at home! 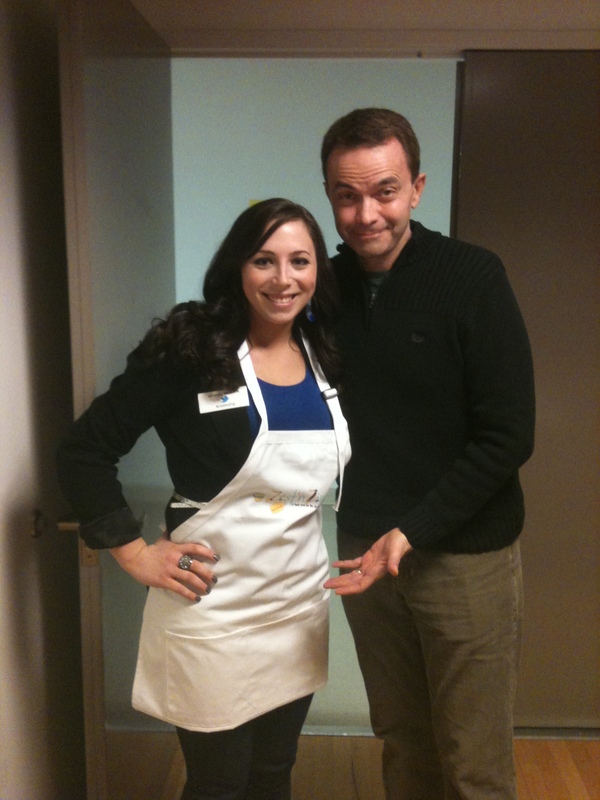 Here I am with Paul Poteet showing off the sweet Zest ‘N Zing apron I got last year during the event! I’ll be there again this year and thanks to Indiana Family of Farmers, I have a FREE pair of tickets for you to join me! Like this post and leave a comment at the bottom saying that you’d like to join me at Zest ‘N Zing. Subscribe to my blog and leave another comment saying that you followed me. Post the tweet below to your Twitter account and leave a comment with the link. The contest will be open until Thursday at 11:59 p.m. 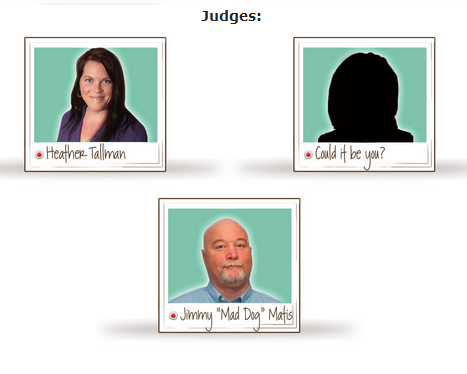 Judges for this year’s event will be Heather Tallman of the blog, Basilmomma and her radio show “Around the Kitchen Sink” and here’s where it gets even more fun – one of you could be the other judge! The second judge will be chosen out of the audience that night so you have to make sure you’re in attendance! 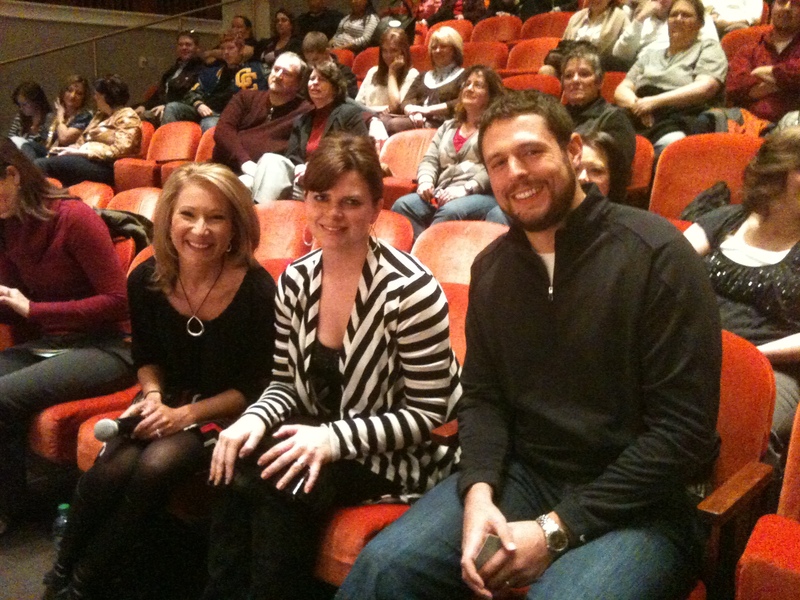 Last year’s judges were (L-R): WTHR’s Jennie Runevitch, guest judge Colleen Fanning (THIS COULD BE YOU), and Colt’s Jacob Tamme! Doors for the event open at 5 p.m. and you can mix, mingle and eat with farmers from 5 – 7 p.m downstairs. The competition begins at 7 p.m. so be sure to finish up eating a few minutes before to get a good seat! I’m so excited for this event and I hope you are too after reading this post! Don’t forget that if you want to enter to win the tickets, submit your entry before 11:59pm on Thursday. If you aren’t drawn as the winner, I hope you will still attend the event! Tickets are $20, with proceeds benefiting Gleaners Food Bank and can be purchased at this link: Zest ‘N Zing Event Tickets. Can’t wait to see you all there next week!